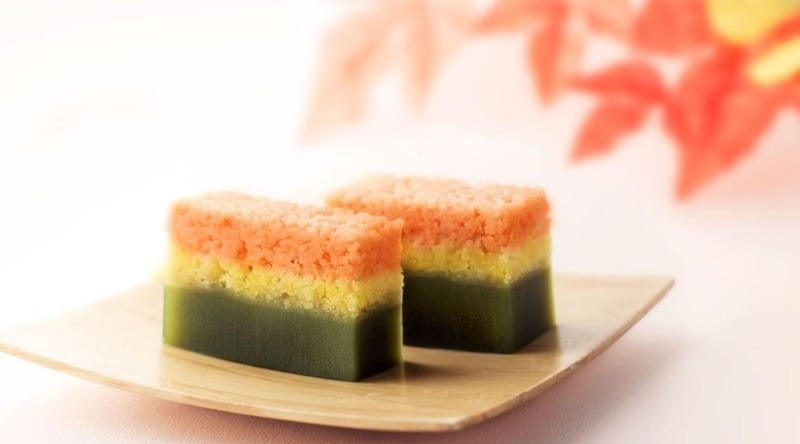 Similar to fashion, Japanese sweets have seasonality and trends. Each season, confectioners incorporate timely ingredients and colors in their work to make the consumer experience more enjoyable. As autumn kicks in, let’s check out a few selections from the 2017 fall wagashi collection. Kaki, or persimmon, is a typical wagashi ingredient in autumn as it is the harvest season. The bright orange color matches well with the fall colors of red and red-orange, so major manufacturers like Kichoan, Agebono and Kihei all have their own kaki collections. According to the Kichoan catalog, an all-time favorite is Suikansyuku, a sugar-covered dried persimmon with a white bean filling. It's an autumn-only wagashi, so if you miss it, you will need to wait another year. Walking around any depachika (food halls found in the basement of most department stores) during the fall season, you will see many vendors selling grilled chestnuts. It's very common for Japanese people to enjoy chestnuts every autumn. Grilled chestnuts are both warm and sweet, just what's needed for the changing climate. It's also one of the fall food symbols for locals and easily incorporated into wagashi. Among all the brands, Toraya is perhaps the most famous for its chestnut wagashi. The Toraya chestnut fall collection includes Kurikanoko, bean paste surrounded by unprocessed chestnut on the outside (shown above). Another great choice is Kurigoyomi, fresh chestnut yokan only sold this season. If you're ready to try Kurikanako, click the below link for more! Grilled sweet potato, or yaki imo, is also a fall food symbol in Japan. Sweet potatoes are a good ingredient as they can be used in soft or hard forms. If you grind the sweet potatoes, you can make imo manju or imo yokan; if you deep fry the sweet potatoes, it can become daigaku imo (see above). Marukyo is a very popular maker of sweet potato dorayaki pancakes and manju (check the link below). Another famous sweet potato wagashi brand is Narutonoimoya, which specializes in producing high-quality treats from fresh sweet potatoes grown locally in Naruto City, Tokushima Prefecture. Narutonoimoya makes daigaku imo and sweet potato cakes that are well-known throughout the nation. Pumpkin is not a traditional wagashi ingredient but has been appearing more frequently in recent collections because of the bright orange/yellow color. Not to mention, Halloween is becoming more popular in Japan. Trend-setting wagashi house So-bey released a Halloween wagashi line that fully embraces the spirit of wayosechu (a fusion of Japanese and Western ideas). The highlight of this collection includes the Halloween pumpkin monaka (image above), which is filled with mashed pumpkin and pumpkin seeds, covered with a cute jack-o'-lantern shell. Another highlight of this line includes pumpkin dorayaki and manju, all with cute pumpkin designs! You can request your order to arrive on Halloween Day to make it a nice trick or treat surprise for your friends!